We are full into fall and I am already craving comfort foods. My family is loving this delicious Homemade Chicken Pot Pie. You know me right? I’m all about the simple easy meals that gets dinner on the table and hungry kids fed with minimal effort. That is exactly what you get with this pot pie. 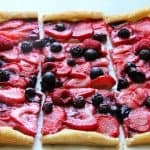 I searched on the internet to get some inspiration on how to make the crust. I am pretty sure I have made crust before but it had been awhile so I took a look. 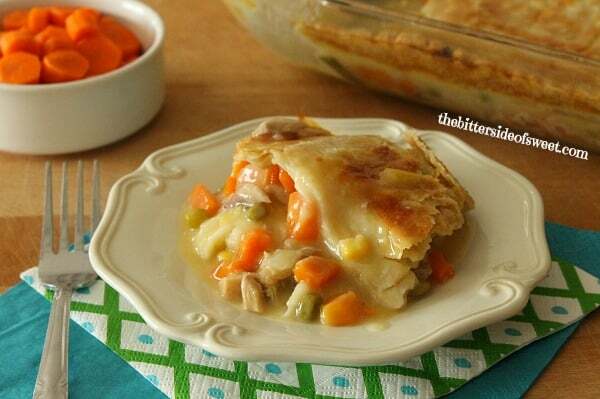 I found this Classic Chicken Potpie Recipe from Martha Stewart which guided me along on how to make the crust. I made it before we headed out the door to church. Left it in the oven cooling while we were gone and the best meal was there when we came home. All it takes are a few simple ingredients. Chicken, cans of vegetables, cream of chicken, broth and salt. Add the crust on top and it is almost ready to go! ENJOY! 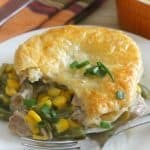 Easy, delicious homemade pot pie! Add flour and salt to mixing bowl. Add butter. Using the flat blade on your mixer mix the flour and butter together till butter is pea size. Slowly add one tablespoon water in till you get a nice smooth dough. Form dough into a disk and wrap in plastic wrap. Place in the refrigerator for 50 minutes or until ready to use. Preheat oven to 375 degrees. Spray 9x13 rectangle glass casserole dish with non stick cooking spray. Mix vegetables, cream of chicken, onion, broth and chicken together. On a floured surface roll dough out to a rectangle of 1/8 inch thickness. Place over your vegetable mixture. Cut slits in the top of your dough. Whisk 1 egg and 1 tablespoon of water together and brush onto the top of your crust. Bake for 45-50 minutes or until you have a nice golden brown crust. Allow to cool in oven for 30 minutes. Cut and serve! ENJOY! With the crust: I simply laid it on top of my vegetable mixture without pinching the edges. This looks so wholesome and comforting. 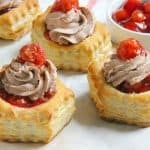 I would love a bite of this! So comforting especially on cold days Jocelyn! Thanks! 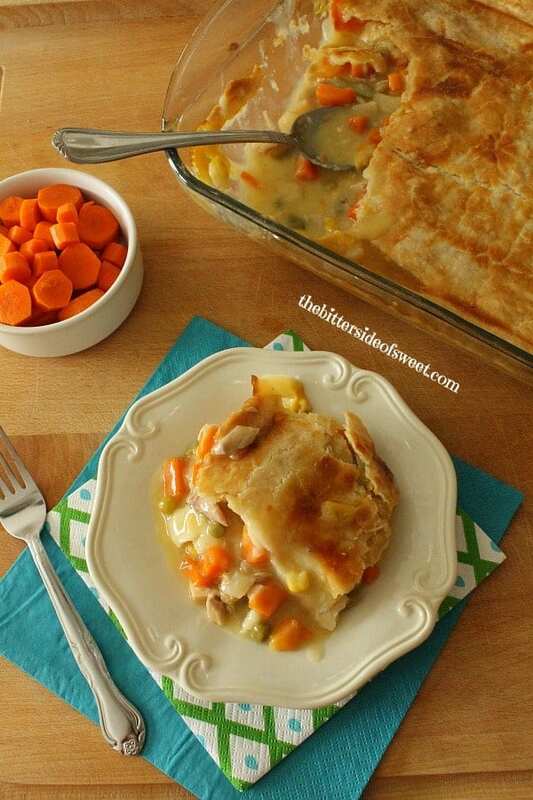 I love chicken pot pie and this one looks fantastic! Thanks Alyssa, this is becoming a family favorite! 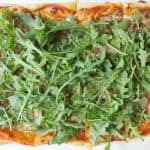 Would like to hear from someone that has actually made this dish. It looks really good, but is it runny or nice and thick… don’t like runny so if you have made this, please let us know how it turned out !! Am anxious to make this… Thanks. Hi Caroline, I made this recipe twice before I posted and once after. One of those times it was runny but I did not allow it to cool. I took it out of the oven and it went straight to the table. I believe that was why it was runny. The other times I just left it in the oven and I really think this is why it thickened up for me so well. If you make it, let me know how it turns out! Thanks! I bet making this with fresh vegetables would be amazing! 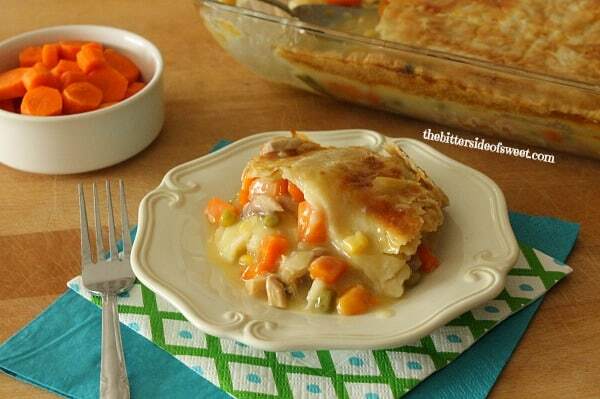 Chicken Pot Pie is pure comfort food. Need this in my life soon! The ultimate comfort food, right! Thanks Aimee! Looks easy and delicious. 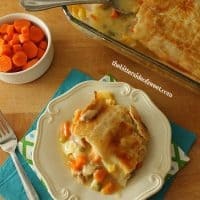 I only like potatoes and carrots in chicken pot pie. I’m wondering if I would have to precook the fresh vegetables before adding them. What’s would you recommend? It’s been so long since I’ve made homemade pot pie! I must try this recipe! Do you drain the cans of mixed vegetables? Yes! Thank you for pointing that out, i will update the recipe!